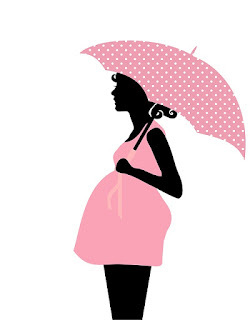 Sister, Daughter, Mother, Wife: So You're Having a Baby? “[H]as she got modern ideas, meaning children of course, that is to say not wanting children[? ]” Busman’s Honeymoon, Dorothy Sayers. When I was pregnant with my first child, about a third of the people I met smiled knowingly and said, “Your life will never be the same again.” One woman was more original--she told my husband, “Your sleep will never be the same.” There is a universality to childbearing that prompts connection, sympathy, and interest from strangers. When you are pregnant, the community feels an almost proprietary empathy and is eager to give you advice. It’s rather sweet, really, even though it can also be irritating if the comments are too tone-deaf or too distant from the maxims of your own philosophy. Of course, people don’t merely have opinions about how drastically a baby will change your life or whether you should be drinking your favorite caffeinated beverage. They may also want to provide input on when you should start your family (not too young, not too old, not until you pay off your student loans), how many offspring you should have, and so on. Many of my friends have complained about feeling the weight of this public pressure. Recently, one friend was talking about our culture’s hostility to the idea of a woman getting married and having babies before she has done all the other things she “ought” to do--establish her career; achieve first-world, upper-middle-class financial prosperity; enjoy the amusements of youth, etc. Getting pregnant in one’s early twenties can be perceived as down-right embarrassing. A waste of college tuition and female talent. A win for misogyny and the manufacturers of stretchy sweatpants. Nowadays, childbearing is considered a specific lifestyle choice rather than what one simply does after the wedding, and that makes it all the scarier to engage in. This friend suggested that perhaps we could run some articles on SDMW by women who had their babies young. How hard was it, really? Was it worthwhile? How did they talk about it to their friends and family? Will a life of dirty diapers drive an intelligent woman insane? In future weeks, we will be publishing several pieces from the perspectives of different mothers. We are also interested in hearing from our readers. If you would like to contribute to the conversation, e-mail us at sister-daughter-mother-wife (at) googlegroups.com. "Fecundophobia: The Growing Fear of Children and Fertile Women"
I had my first child at age 25. On FB I have a couple of frenemies, one in particular is a bit older and has used reproductive technologies to have her two children. In the comment field of my pregnancy announcement she suggested that it was clearly an "accidental" pregnancy, despite my being married. I love my kids and can't wait to have a third.